Welcome to the website of Cath Stacey Acupuncturist. Feeling well and healthy is fairly subjective, however there is no doubt that if we feel unwell, out of sorts or in pain it will affect us negatively in some way. Even if we have plenty of money, if we don't have our health we're in trouble. Feeling good isn't only about absence of disease, it's about our energy, our 'spirit', our mood. These are subtle things that your local GP may be empathetic about but possibly at a loss as to how to help. I strongly believe that our emotions affect our health, especially if we suppress them. Grief, anger and sadness are not well tolerated by society so rather than being able to truly express ourselves we often choose to put a brave face on and say "it could be worse"! Acupuncture can help with the subtle balance of energy within us and acupuncturists understand that suppressed emotions can affect the smooth flow of energy within us. Blocks in energy can cause all sorts of problems from skin issues to anxiety. Acupuncture is an ancient system of medicine practiced for thousands of years in China, Japan and other eastern countries. Now well established in the west as complementary or alternative therapy to conventional medicine it can offer help for a range of mental, emotional and physical problems without the use of drugs. There are many styles of acupuncture and they can vary significantly. The word acupuncture just means puncturing the skin and it is often preceded by other words such as Five Element or western style which identifies the difference. I studied Five Element Acupuncture and Auricular Acupuncture. Five Element Acupuncture is a gentle, holistic style of treatment that looks to establish the root cause of disease, balance the energetic state enabling the body to heal itself. As an acupuncturist I appreciate that conventional medicine has an important place in a person's life when they are unwell and I like to work with doctors for the ultimate good of the patient. Acupuncture can be an alternative to treatment with drugs or surgery or it can complement conventional treatments. Acupuncture has been proven effective to treat many things from back pain to headaches. I personally do not treat symptoms but I treat the person which is one of the reasons acupuncture differs so much from western medicine. We are all very different and therefore treatments need to be tailored to the individual. Treating symptoms may well alleviate the problem for a while but often symptoms return or even move to a different area. 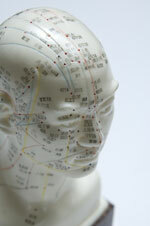 Five Element Acupuncture is very effective in treating mental and emotional problems as well as physical ailments. Acupuncture can be used as part of stress management. Acne, Allergic rhinitis, Anxiety, Back pain, Bell’s palsy, Chronic fatigue ME, Chronic pain, Colds and flu, COPD, Cystitis, Dental pain, Depression, Dysmenorrhoea, Eczema and Psoriasis, Endometriosis, Erectile dysfunction, Female fertility, Fibromyalgia, Frozen shoulder, Gastrointestinal disorders, Headache, Herpes, Hot flushes, Insomnia, Irritable bowel Syndrome(IBS), Infertility ART, Menopausal symptoms, Male infertility, Migraines, Nausea and vomiting, Neuropathic pain, Obstetrics, Osteoarthritis, Post-operative pain, Premenstrual syndrome, Rheumatoid arthritis, Sciatica, Sinusitis, Sports Injuries, Stress, Substance misuse, Tinnitus, Type-2 Diabetes, Urinary incontinence. I have also undertaken a post-graduate course in treating frozen shoulders, neck pain/restriction, lower back pain and hiatus hernias which uses muscle stretches alongside acupuncture to help alleviate pain and restriction. In Auricular acupuncture the needles are placed in the outer ear and is used to help detox, manage coming off drugs and alcohol, as mentioned, hot flushes and night sweats, smoking cessation, anxiety and fatigue. If you're suffering from hot flushes and night sweats I can treat you individually or a more cost effective and for some more enjoyable way is to join a group session. I run auricular acupuncture group sessions in Exeter. Groups of up to 7 participants are seated and once the needles are in place can interact with others in a group discussion. The group is a very supportive environment and participants often make some good friends as well as hopefully reduce the frequency and/or the intensity of the hot flushes. For more information please browse the website or email Cath with any questions. Cath Stacey works from the Exeter Natural Health Practice in St Leonards, Exeter.